DEBUSSY: Piano Trio No. 1 in G Major; ARENSKY: Piano Trio No. 1 in D Minor, Op. 32; CHAUSSON: Trio in G Minor, Op. 3. 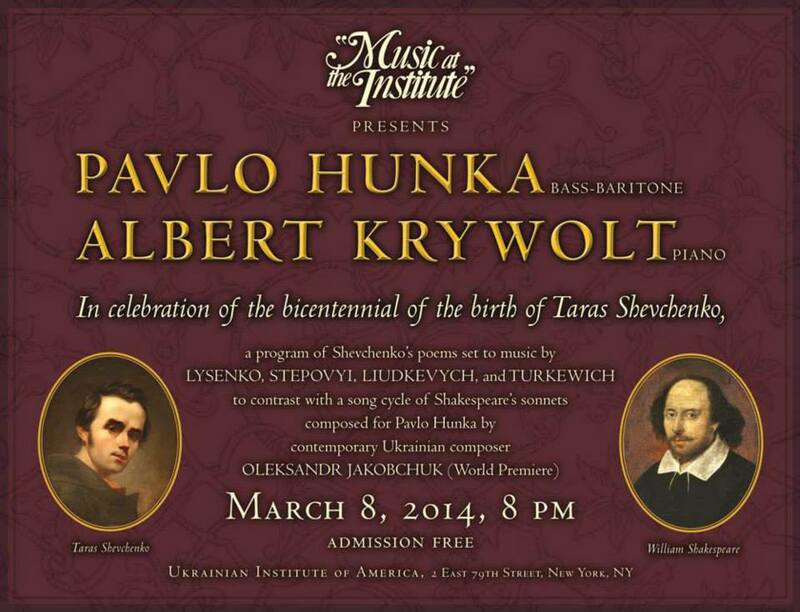 LYASHENKO: Piano Trio; BEETHOVEN: Piano Trio in D Major, Op. 70, No. 1, “Ghost”; MENDELSSOHN: Trio No. 1 in D Minor, Op. 49. 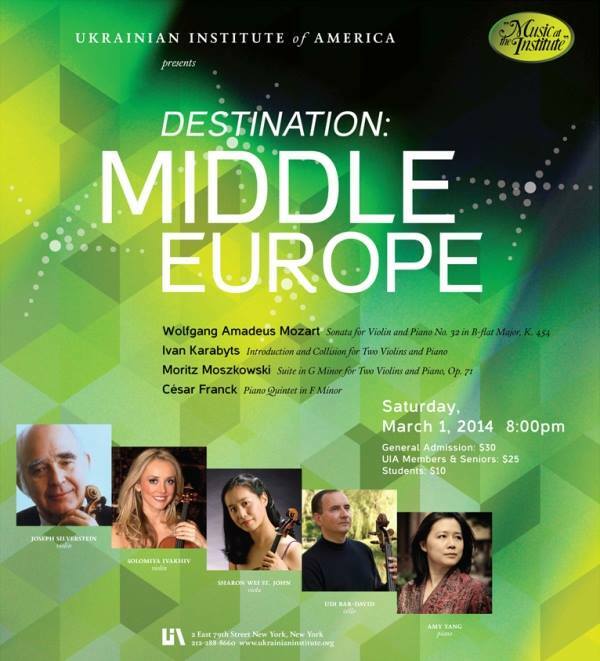 The program includes Ukrainian folk songs and works by Prokofiev, Stepovy, Bonkovsky, Zaremba, and Beethoven. 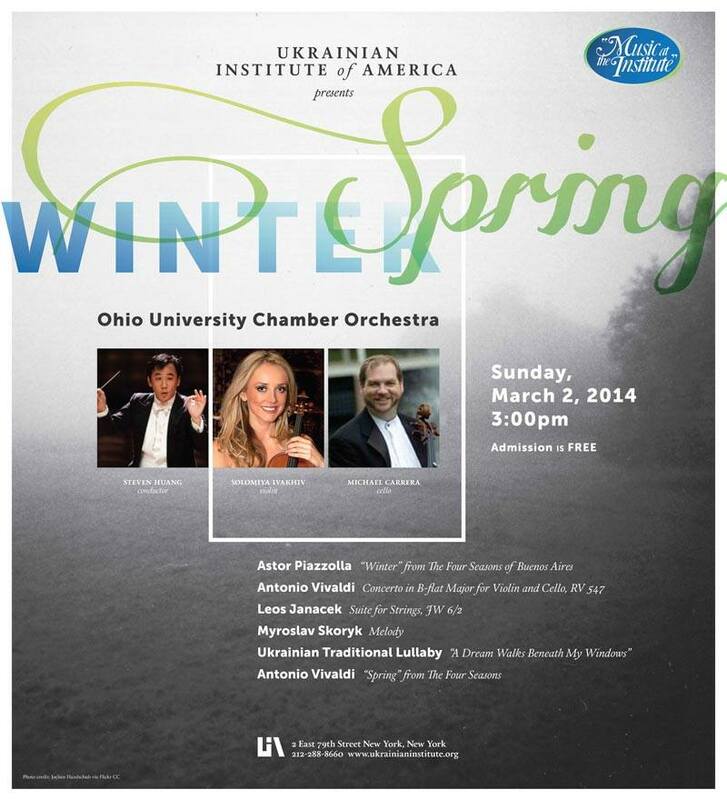 Program: Brahms, Dvorak and Myska. Pre-concert talk by Dr. Glenn Stanley at 7:00 p.m. 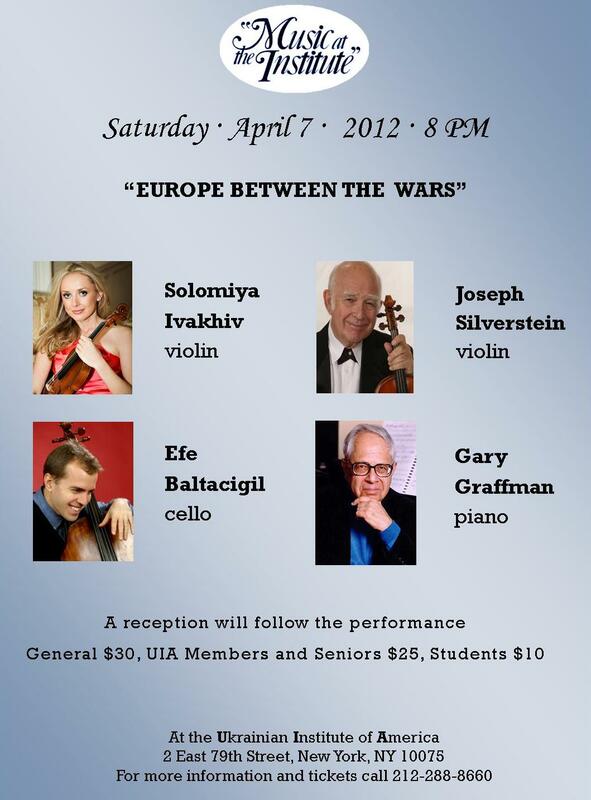 Program: Bach, Tchaikovsky, Beethoven, Massenet and Dvorak. 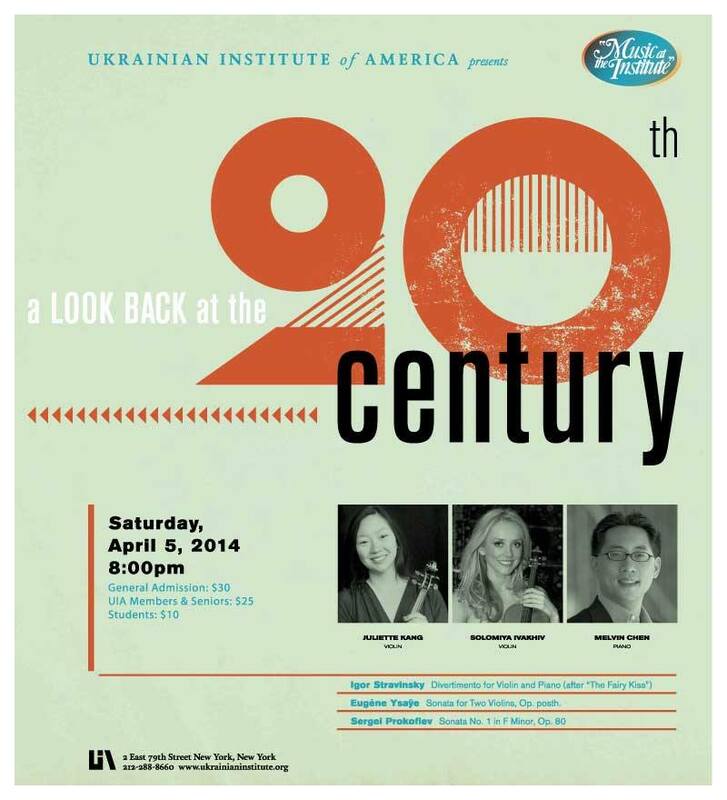 Elissa Lee, violin, Sharon Wei, viola, Michelle Djokic, cello, with guest pianist Melvin Chen.